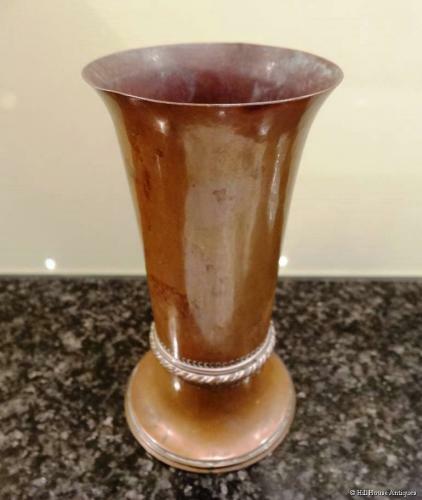 A fine example of a small Edward Spencer designed copper Arts & Crafts vase of flaring form made by the Artificers Guild; c1900. Stamped marks to underside. Approx 5" tall.